The Global Ecolabelling Network (GEN) is a non-profit association of third-party, environmental performance recognition, certification and labelling organisations founded in 1994 to improve, promote, and develop the ecolabelling of products and services. Only environmentally friendly products and services proven to have lower environmental impact may carry a GEN member ecolabel. GEN member ecolabels are among the world's strongest environmental labels for products and services. "Ecolabelling" is a voluntary method of environmental performance certification and labelling that is practised around the world. An ecolabel identifies products or services proven environmentally preferable overall, within a specific product or service category. GEN members operate some of the world's strongest ecolabels. Ecolabels are known as an effective marketing tool to communicate environmental friendliness of products to consumers and are a key tool to support implementation of green (public) procurement in many developed and developing countries worldwide. Many governments and industry groups recognize that eco-labelling could provide sought-after economic incentives for better long-term stewardship and availability of natural resources important for national economic welfare. To further drive progress in this area, the Global Ecolabelling Network, GIZ Thailand and UN Environment are starting a project to support emerging ecolabelling initiatives around the world. The aim of the project is to facilitate learning between existing and emerging ecolabelling schemes, and build capacity to develop new ones. You can find more information about the project here: http://www.oneplanetnetwork.org/initiative/working-group-2-type-i-ecolabels . Are you a procurer or supplier actively involved in the ICT hardware sector? Eager to exchange on the topic of social responsibility in the ICT supply-chain? An NGO or a public authority interested in this subject? Take part in a real-life market engagement event! "A compass to explore what can be demanded and what should be demanded in contracts" - Participant of previous event. Barcelona City Council will inform suppliers about upcoming tenders of information and communication technology (ICT) and of their socially responsible procurement needs and intentions. The suppliers will have an opportunity to discuss available solutions and demonstrate their capacity to meet the requirements. To join the Barcelona Market Engagement Event register here until 25th February. Participation is free of charge, but registration is necessary to ensure a place. 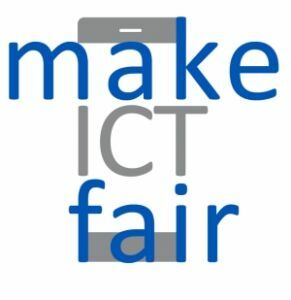 The event is jointly organised by ICLEI Europe, Electronics Watch, Procura+ and Barcelona City Council as part of the Make ICT Fair project.